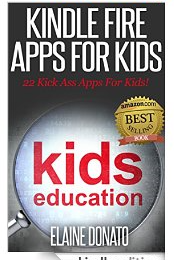 While I am not crazy about the name chosen for the subtitle, this short guide is an informative and useful one for parents trying to navigate the world of apps for their children. Donato begins by talking about recommended ages and the benefits of iPad use for children. She reminds parents that it is important to set and enforce limitations and know that apps are a supplement not a substitution to a child’s education. Subsequent chapters highlight games for kids like Curious George’s Town and Toca Hair Salon. Donato moves on to preview traditional story book apps like Little Red Riding Hood as well as those that explore geography and science such as Barefoot World Atlas and Bobo Explores Light. In her chapter on art, writing, and music the author includes apps for comics, playing piano and creating your own book. Then there are educational apps for learning the alphabet, phonics, counting, and common object recognition. Donato urges all parents to test the waters with these apps and share the experience with their children. These apps provide an excellent opportunity for both generations to grow and learn together. 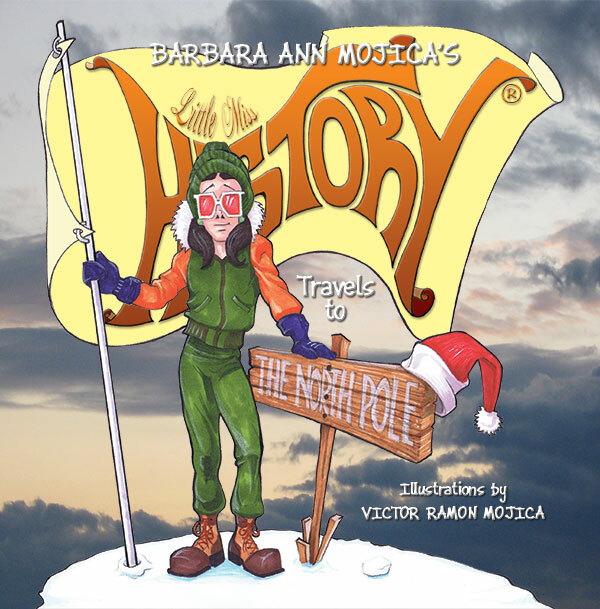 This is a wonderful and innovative book for children in middle grades and older. 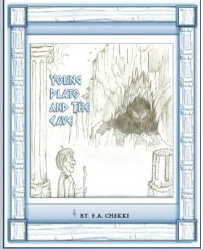 It serves as an introduction to one of Plato’s works, The Allegory of the Cave, as well as a bird’s eye view of ancient Greece and its importance to the Western world today. 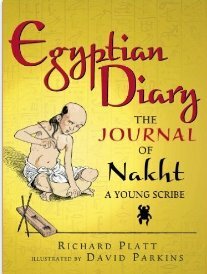 At the beginning of the book, the reader meets the philosopher Socrates and his student, Aristotle just finishing a lesson. Portraits of Socrates and Aristotle are given as well as thumbnails of the poem which has Plato visiting the oracle in the cave to discern its mystery. Side by side with the allegorical tale, the author presents what he calls, “Bites” of Greek knowledge. These include the government of Athens, Mount Olympus and its gods, the Library of Alexandria, Greek education, the Oracle of Delphi, notions of Arete, and Greek architecture, Greek theater, art, religion, and geography. These small bites pack an abundance of material on each page. The black and white pencil drawings of the allegorical tale are combined with humor to contrast nicely with the colorful photos of sculpture, paintings, and Greek artifacts. 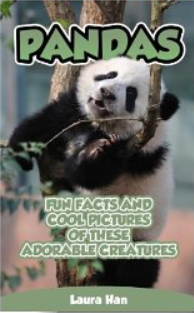 Students are introduced to a plethora of subjects in an easily digestible format. 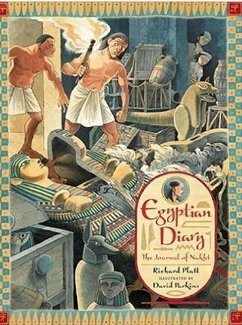 Teachers have an unlimited field of possibilities when using this book as jump off point of discussion for history, literature, philosophy, government, art and science. Any child age nine and older should be able to find an area of interest for further exploration. As a historian, I was impressed by the succinct but pithy descriptions and the well balanced text. 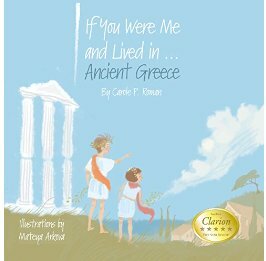 Highly recommended to parents, librarians, teachers and budding scholars who want to learn about ancient Greece in a nutshell! I am confident that most readers will be encouraged to explore to learn more. This first book in this series like all the others are based on the writings and research of the author’s aunt, Phyllis Downing Carlson. In the first volume, the reader is treated to thousands of years of Alaska’s history from the time the first humans crossed the Bering Sea land bridge to the Klondike Gold Rush in the nineteenth century. The photograph of a mastodon graveyard is most impressive. Readers learn how the native Eskimos coped with the unknown with the magic of their shamans and the legends of the gods. An influx of Russian fur traders changed Native life forever. They brought illness and destruction to their hunting grounds and forests. Eventually Natives adapted by becoming guides for the newcomers exploration of the seas and the mining operations that later followed. One of the short stories relates how the last gun shot of the American Civil War was fired from the Confederate ship Shenandoah off the coast of Alaska in June, 1865, two months after the war actually ended. These ships fired on whalers near St. Lawrence Island. The Shenandoah had previously captured thirty-eight Yankee warships. Not willing to surrender to Union authorities in the States, the Shenandoah sailed to England to surrender that November. Bill traces the history of opposition to William Seward’s purchase of Alaska for the United States and the change of opinion once gold was discovered. 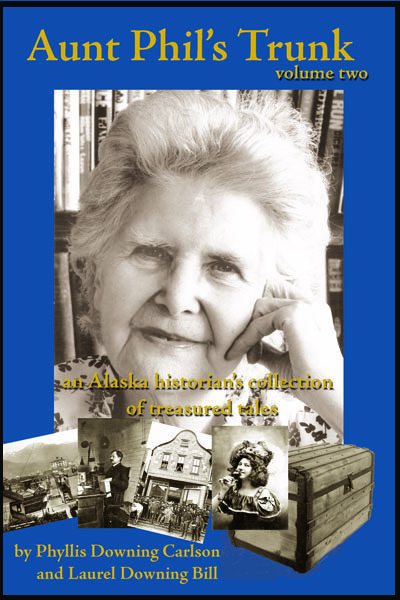 Several stories detail singular individuals in Alaska’ s history. 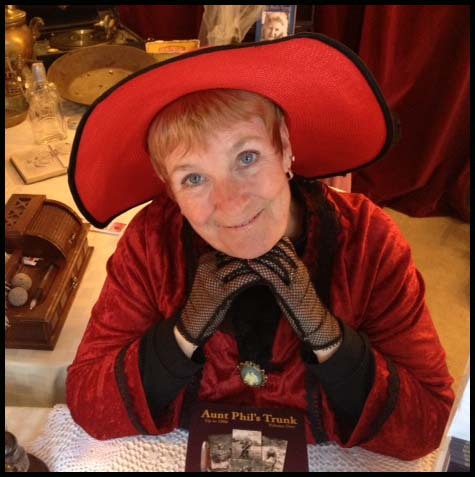 Readers learn about Captain James Cook, the explorer, Bishop William Carpenter Bompas, the missionary, Ivan Petroff, the census taker, and Old John Bonner’s murder mystery. One of Alaska’s most educated early citizens was George Washington Carmack who wrote beautiful poetry. Not only do the short stories cover all these areas, but the photographs, maps and drawings provide a feast for the eyes! Volume Two portrays the history of Alaska for a much shorter period, the end of the nineteenth century through the year 1912. Nevertheless, it packs quite a punch with more than 350 photographs and a saga of interesting characters and developments. The Klondike Gold Rush brought the ongoing boundary dispute with Canada to a head. Stampeders from Canada walked freely across the border in an attempt to make their fortunes. Crime and robberies became rampart. Miners sometimes took justice into their own hands. One criminal was named “The Blue Parker Bandit.” A small group sailed from Seattle to steal one of the native totem poles for its city. Reportedly, Wyatt Earp and John Clum fled from Arizona to Alaska after the demise of Tombstone. But as more settlers flooded the area and stayed, order needed to be restored. Leroy Napoleon McQuesten set up supply stations in the wilderness. Clum often traveled by mule and set up Post Offices. Frank Canton set up a court and became the first law officer. As towns sprung up and the area became more stable, the people demanded entertainment and culture. The Black Prince Boxer was listed as a popular attraction. The Monte Carlo Theater came to the town of Dawson. Poet Robert Service wrote his poem “The Call of the Wild.” Estace Ziegler painted scenes of Alaska’s rugged landscapes. The Iditarod trail was blazed;soon railroads and schools followed. Prosperity reigned until suddenly the Katmai Crater Volcano eruption created such a wasteland in 1912 that President Woodrow Wilson called it the largest national monument in the United States. As with volume one, these people and events are richly documented with photographs and drawings. Lots of changes were on the horizon which will be explored in volume three. 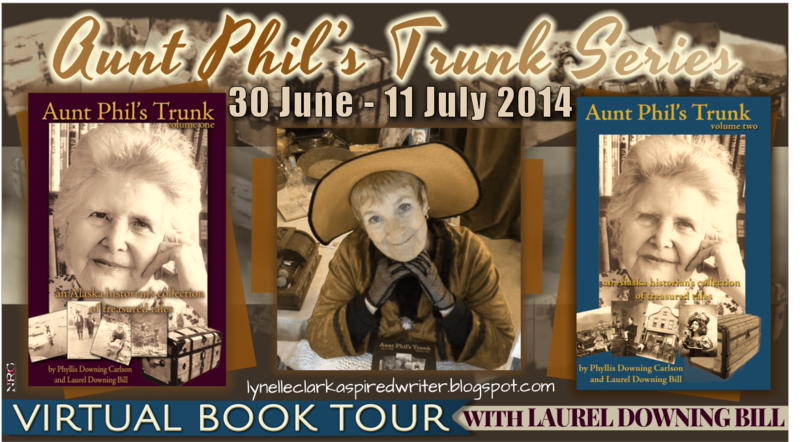 Aunt Phil’s Trunk volumes 1 through 4 are available through http://www.AuntPhilsTrunk.com and Amazon.com.